UKDN Waterflow (LG) Ltd is delighted to be one of the main sponsors of the I Love Claims home and commercial networking lunch. Hundreds of insurance industry professionals and experts are due to attend the event at Grand Connaught Rooms, in Covent Garden, London, on 20 May 2016. The guest speaker will be Will Greenwood MBE, the England Rugby World Cup Winner. UKDN Waterflow (LG) is part of Lanes Group plc, the UK’s leading specialist drainage and asset maintenance provider. 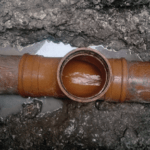 It is one of the foremost providers of household and commercial drainage remediation and repair services to the UK insurance industry. Richard Leigh, Business Development Director for Lanes Group, said: “Through the acquisition of UKDN Waterflow (LG) Ltd last year, we have made a strong commitment to support the provision of excellent drainage services for the insurance sector. “Our support of the I Love Claims networking lunch will give us the opportunity to meet many of our valued clients and continue to build strong and mutually-beneficial relationships with insurance professionals, including loss adjusters and claims intermediaries. I Love Claims (ILC) is a collaboration between claims industry leaders to share expertise and create partnership opportunities that result in better service for customers. From its customer service centre in Birmingham, UKDN Waterflow (LG) carries out thousands of blockage clearance, repair and remediation jobs every year in support of insurance industry clients.